Professionally Michael Whelan took up the illustration when he moved to Connecticut. His work on the design of books by Anne McCaffrey from the series “Dragons of Pern” won the “Hugo” award in 1980. This was the first professional award of Michael Whelan, as an illustrator. In the picture of Whelan “Waiting” is depicted a huge green dragon, which, laying its muzzle on clawed feet, waits calmly for its hour. Terrible by its insignificance, a small female figure with a candle, personifying death. The picture is also an allegory to human life. 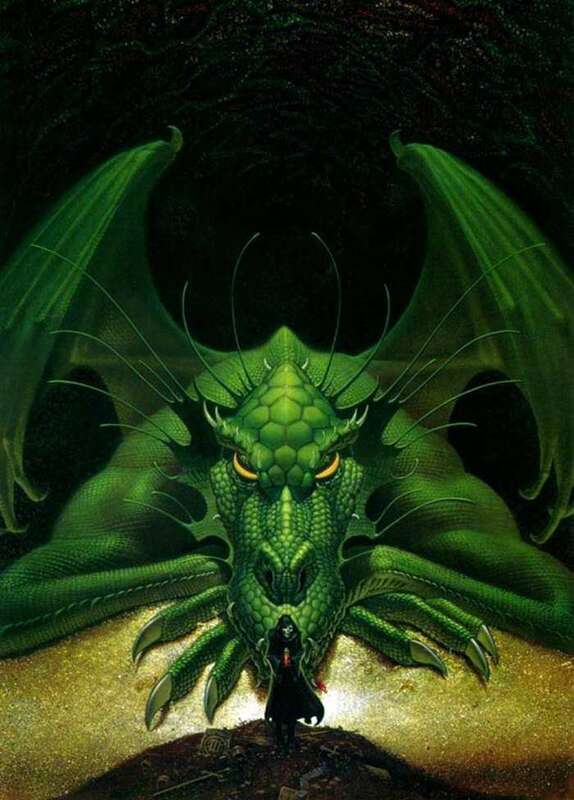 The dragon personifies the dangers that lie in wait for us everywhere – you gap and fall into the clutches of evil troubles, illness or into the silent world of a woman in a black cloak. Description and meaning of the painting Waiting by Michael Whelan.